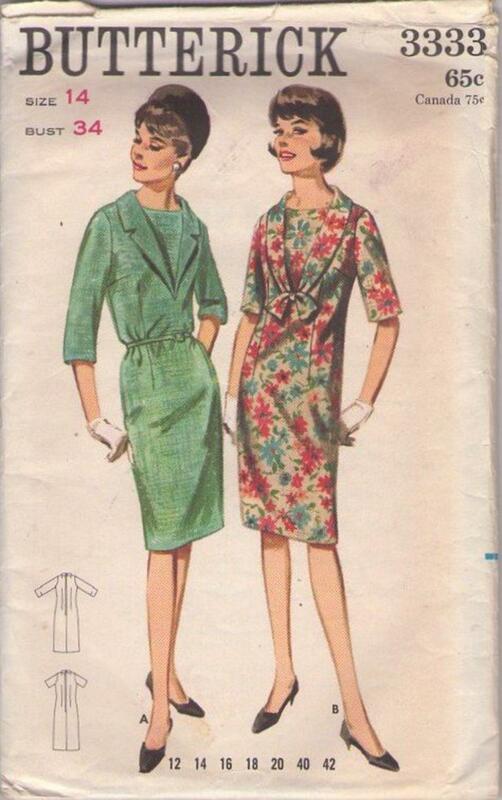 1960, 60s Jackie O, Retro Daytime Clothing Patterns - Semi fitted dress with deep V neckline. A: Slightly rolled, notched collar set into V neck. ¾ length sleeves, self dickey and belt. B: Bias shawl collar tied into a bow knot. Above elbow length sleeves.